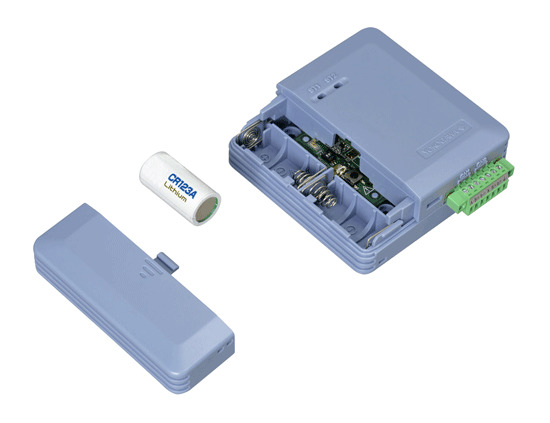 The wireless GX70SM remote data logger allows for quick and convenient data collection in areas that are not easily accessible or expensive to wire to. 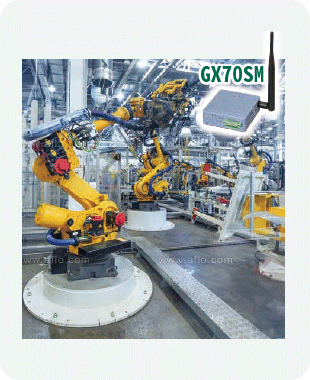 The GX70SM wireless input unit is a compact, battery-powered analog input module that uses 920 MHz radio link to connect to a SMARTDAC+ GX20, GP20, or GM10. The GX70SM allows for the collection of a variety of data points from locations that cannot be easily reached or are difficult and expensive to access. The optional humidity sensor and its simple mounting options makes this ideal for monitoring environmental conditions in areas like warehouses, clean rooms, and inside working environments where heat-related workplace injuries are a concern. Note: The use of SMART 920 enabled units is limited to the United States, Korea and Japan. Please refer to the instructions for proper installation and use. A pair of standard CR123 batteries will power the GX70SM module for 5 years when configured for a measurement once every 5 minutes. The module can also be powered from the USB port for long term or high speed data collection. 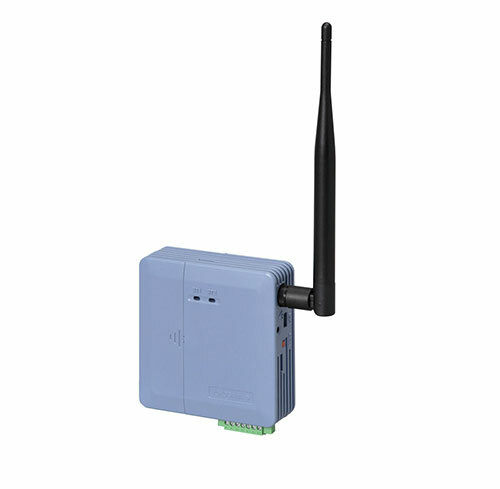 The wireless module has 2 standard universal inputs and 1 dedicated input for relative humidity measurement. The universal input channels support thermocouples, RTDs, DC voltages, current (with an externally mounted resistor) and digital inputs. The module inputs can be calibrated by the customer when routine calibration is required for compliance. Wireless Terminal Authentication blocks unauthorized access. It also provides industrial grade AES-128 signal encryption to prevent tampering and wiretapping. Can be hung on a wall screw. Can be directly mounted to a wall or their flat surface. Can be placed on any ferrous item with the strong embedded magnet. Can be placed on any flat surface. The status of the module can be displayed on the master unit. Conditions such as low battery and sensor burn out can be detected. The signal strength of the module can easily be detected by the base unit to assist in module placement. Save up to 4,500 data points. In the unlikely event of a dropped wireless connection, the missing data that is stored in the GX70SM can be recombined with the data collected by the master unit. 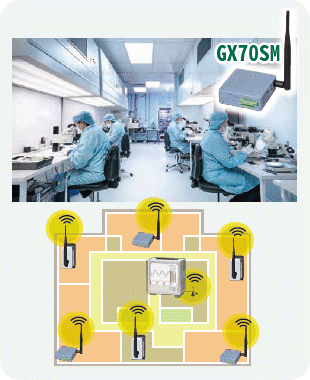 The wireless input unit GX70SM has built-in humidity sensor. It can be used in areas with severe restrictions such as clean rooms. Also, the inputs can be calibrated by the customer. Due to its excellent responsiveness to aggressive temperature changes, temperature and humidity can be controlled from inside the factory. This allows for easier management of environmental and safety conditions, preventing incidents such as heat stroke of personnel. SMART 920 supports electronic records and electronic signatures under FDA 21 CFR Part 11 for food, pharmaceutical, and other FDA regulated applications. 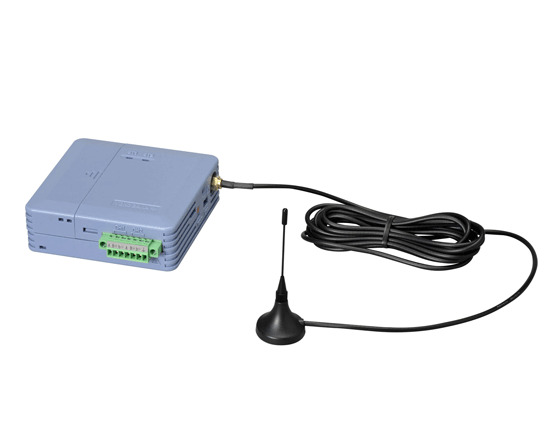 Communication between the main unit and a SMART 920 remote unit can be established up to approximately 1 km in line of sight. The intelligent mesh network automatically recognizes unstable wireless links and re-routes data to a clear channel. Mounting conduit and pulling wire is no longer necessary. 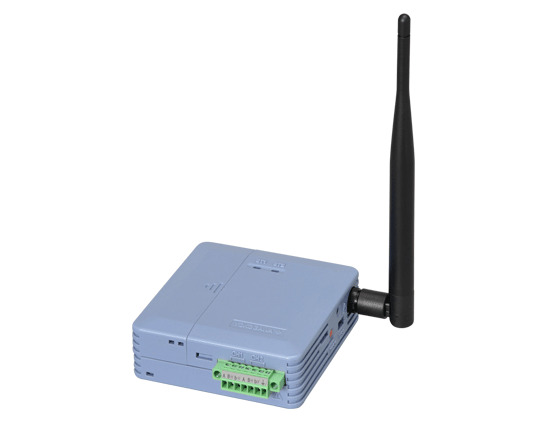 Installing a wireless solution greatly reduces installation time and costs. 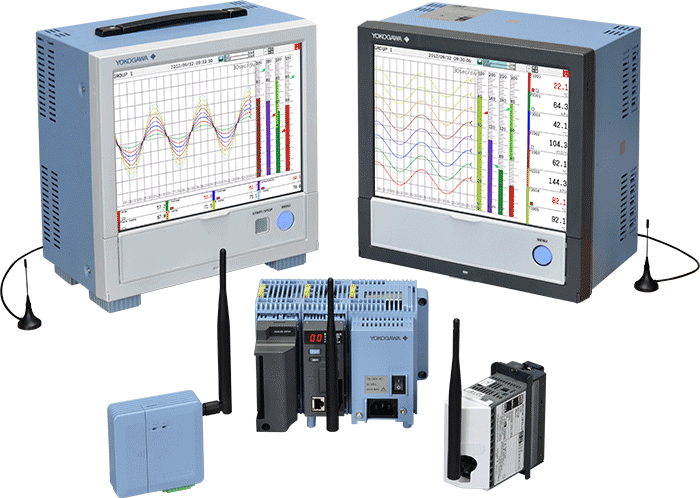 Wireless I/O components have multiple mounting options to match the conditions at the field location. 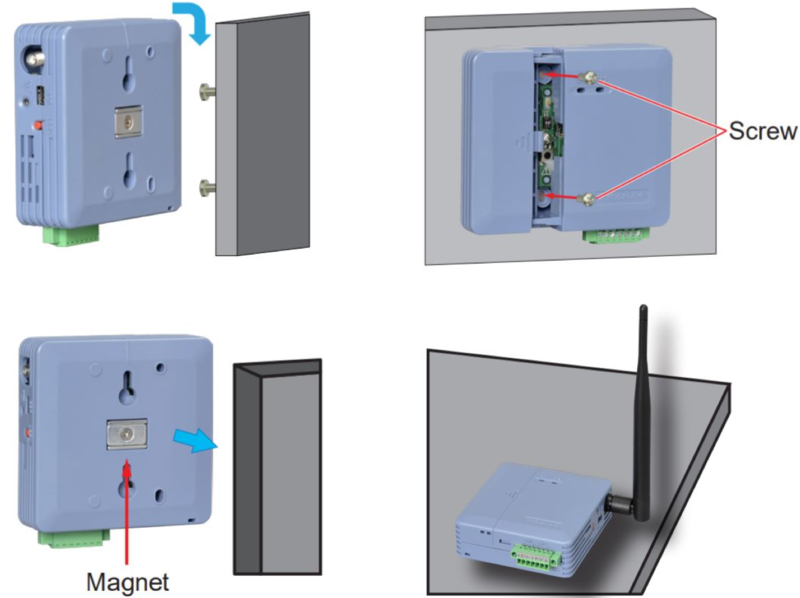 Components can be DIN rail mounted, wall mounted, set on wall screws, set on a desktop, or attached to a ferrous surface with a magnet. These options provide for system flexibility allow changes to be quickly implemented. A 920 MHz wireless signal has a longer range than one in the 2.4 GHz band, typically used in wireless LAN applications. It has a greater reach around obstacles making it favorable for long distance or highly obstructed environments. Up to 0.5 mile line of sight. You now can see everything critical to your process: log key data points, monitor current process status, unreachable remote point, and more. Warehouse monitoring for temperature, humidity and door status. HSE monitoring for indoor workers at risk for heat-related illnesses. Remote monitoring of facility process operating status.